Efforts by the state to arraign kidnap kingpin, Chukwudumeme Onwuamadike, alias Evans, on a fresh charge of kidnapping was, yesterday, stalled over multiple filing of the seven-count charge of murder, attempted murder, conspiracy to commit kidnapping, attempt to kidnap and sales and transfer of firearms by the state Director of Public Prosecutions, DPP, against him and three others at an Ikeja High Court. 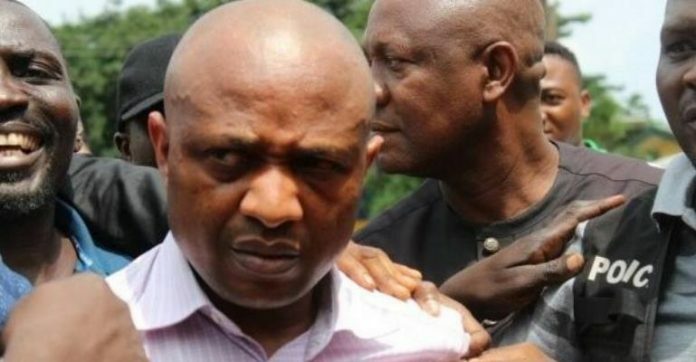 The DPP’s error was pointed out during the proceedings by Mr. Olukoya Ogungbeje, Evans’ defence counsel. According to Ogungbeje, the DPP had initially filed the seven-count charge on August 25, 2017 and amended it by filing another charge on October 26, 2017, but failed to file the proof of evidence with the October charge. Evan’s lawyer claimed that there was another seven-count charge dated January 15 before the court. 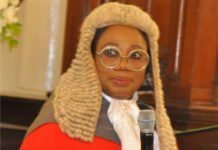 Ogungbeje also brought to the court’s attention that Justice Oluwatoyin Taiwo had, in a ruling on November 10, 2017, noted that the charges in the case were “irregularly filed” by the prosecution. 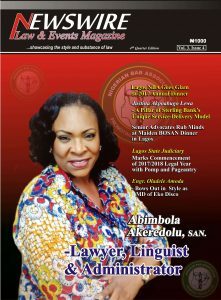 Justice Taiwo, in a ruling, agreed with Ogungbeje’s submission, saying “I agree with Mr. Ogungbeje on this. The DPP must file fresh, clean and unadulterated charges. The defendants had allegedly committed the offences on August 27, 2013 at Third Avenue, Festac Town, Lagos. 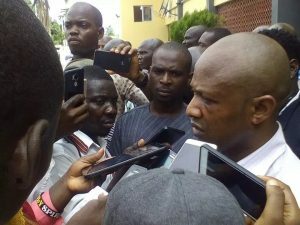 Evans and his accomplices allegedly killed Mr. Chijioke Ngozi and attempted to kill and kidnap Mr. Vincent Obianodo. 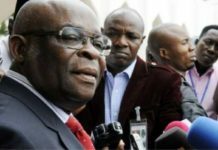 It was also alleged that in 2008, Upong sold and transferred two AK-47 rifles and 70 rounds of live ammunition to Evans. 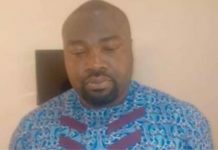 Earlier during proceedings, Mr. O. Ogu, counsel to Emeka and Arinze, two of Evan’s co-defendants in an application dated December 13, 2017, had asked the court to quash the five-count charges pertaining to Emeka, the second defendant. 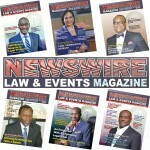 Justice Taiwo adjourned the case till March 21, 22 March 23.